The original single malt produced by distillery Auchroisk was called The Singleton, with the first bottling dating from 1986. The distillery was build in 1973 to satisfy demand of the blended whisky industry, which at the time was growing at a fast pace. The stills produced their first alcohol in 1974. 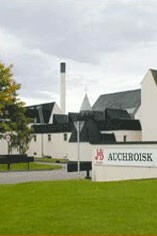 The distillery has been awarded several architecture prizes and its whisky has also won several distinctions. Only 10% of the production is sold as single malt, the remaining being used in blends, specially in the well-known J&B. In 2001 the name Singleton was abandoned and Auchroisk 10 Year Old Flora & Fauna was launched. 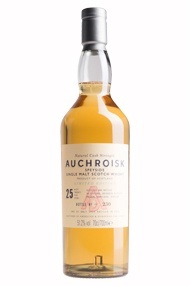 Auchroisk, pronounced Auch Roysk, means 'ford of the red stream'. Up until the late 1990s, the whisky was marketed as the Singleton of Auchroisk. 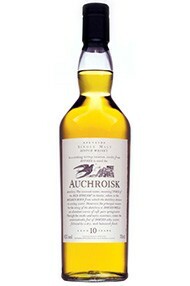 This old bottling has now been replaced by Auchroisk 10 years old. The style is pungently aromatic on the nose (lemongrass, citrus and a whiff of smoke), and richly flavoured/creamy on the palate, evocative of custard, apple pie and spices.